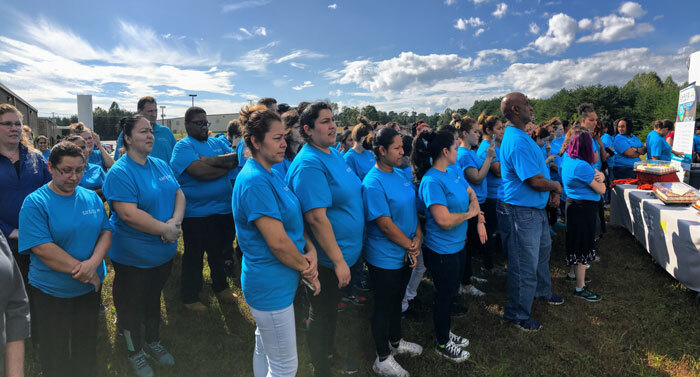 ROCKY MOUNT, Va. – Empire Bakery Commissary, LLC, a commercial producer of ready-made cakes, cookies, and desserts, announced an expansion that will double its capacity, creating 75 new jobs in Franklin County. The company is investing $10.4 million, including $2.3 million in new equipment, to add 32,000 square feet to its Rocky Mount facility and renovate an additional 12,000 square feet to serve more customers. Roanoke County earns kudos from the state with technology award. Governor Ralph Northam recognized Virginia government entities that have improved the delivery and efficiency of government service. The wildest adventure film festival of the year is coming to the region in September. The Roanoke Outside Foundation is hosting the Banff Mountain Film Festival World Tour at the Jefferson Center on Wednesday, Sept. 26. It’s not too early to start planning for some of the biggest events of the fall. Save the dates for these events, which are put on and managed by the Roanoke Regional Partnership and Roanoke Outside Foundation.